A new study gives us another reason to pause before we take some of the common drugs for heartburn. The use of these drugs known as proton pump inhibitors correlates with a 20% higher risk of heart attack. These drugs were intended to be used for 6 months or less while many Americans are using them for much longer periods of time. This longer use is possibly part of the problem. This study doesn’t necessarily show that proton pump inhibitors are to blame for the increased heart attack risk. We only know heart attacks happen more often in people taking these medications. The good news is there are other ways to deal with heartburn. As one researcher commented, some of the same lifestyle choices that contribute to heart disease can also cause acid reflux. He mentions bad diet, excessive alcohol consumption, and smoking. So yes, it makes absolute sense to improve our diet and lifestyle instead of using a drug to mask the symptoms of heartburn. When I am discussing acid reflux with my patients, I generally start with diet and stress as the two most common factors contributing to heartburn. Sometimes people know the foods that trigger their heartburn, such as fried or spicy foods. Other times there can be a hidden culprit like gluten or dairy. While my patients are working on appropriate diet changes, I might treat the symptom temporarily to help them feel more comfortable while the body heals. On popular product is DGL, a chewable licorice tablet that soothes as well as promotes healing. Blends containing zinc carnosine like Endozin may also help protect and heal the lining of our digestive tracts. Depending on the severity of the symptoms, I might also employ some of the other steps of my gut healing protocol. 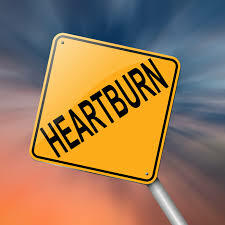 Fix the underlying problem driving heartburn and you often can prevent other health complications later in life. If you have been using medication for heartburn, discuss your heart disease risks with your doctor and see what steps you can take to improve both your acid reflux and your long-term health.